The biggest concern by many Democrats is the potential harm to consumers from the merger. Regulators during the Obama administration were adamant that the nation needed four big nationwide wireless carriers to keep prices from rising too quickly, and to pressure carriers to deploy better and faster services. 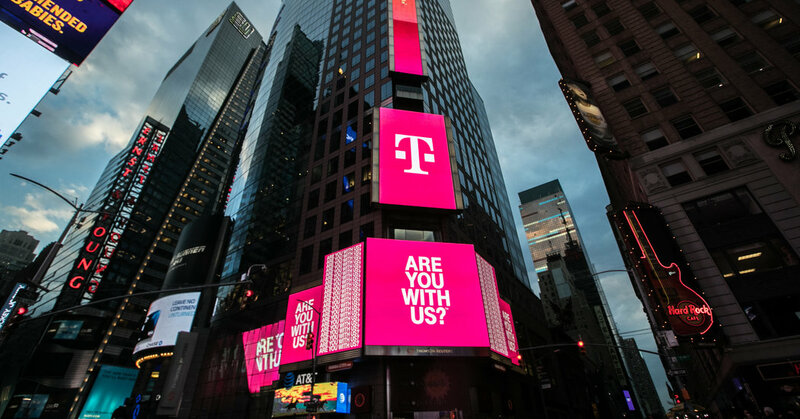 They often pointed to T-Mobile’s innovative deals for consumers as evidence that it provided beneficial competition to the top two wireless carriers, Verizon and AT&T. Regulators appointed by Mr. Trump, as well as Republican lawmakers, haven’t taken a similar stand. The president has made the advancement of 5G wireless technology, the next generation of mobile broadband networks, a national priority. He has pointed to China’s lead on 5G as a national security threat, because the technology will be used to run advanced robotics and technologies like driverless cars. T-Mobile and Sprint have pitched their merger as a way for the United States to advance 5G technology, particularly to rural areas where cable services don’t reach. They say that by combining resources, they will be able to invest more heavily and quickly into the newest wireless technologies and bring them to market faster. Since the moment the deal was announced last year, the companies have tried to sell the deal to Washington officials with an aggressive charm offensive. Mr. Legere has made numerous visits to the F.C.C. and Justice Department in the past year and has documented many of his visits on social media. One month after the merger was announced, Mr. Claure of Sprint co-hosted a fund-raiser for Representative Marsha Blackburn, a prominent Republican lawmaker from Tennessee running for the Senate, who has long supported issues favorable for the telecommunications industry. She won her election in November. More recently, T-Mobile hired Mignon Clyburn, a former Democratic F.C.C. commissioner, as an adviser on its deal. Ms. Clyburn, a fierce advocate for low-income communities, has criticized the lack of competition in the wireless industry. The company also relies on Robert McDowell, a former Republican F.C.C. commissioner, as a consultant for the deal. Democratic lawmakers have focused on the dozens of bookings at the Trump International Hotel by the company executives during the regulatory review. Last month, Mr. Legere stayed at the hotel for two nights in a room that had a rate of $2,246 per night.